Just a few miles south-east of the town of Ballinamore in Co. Leitrim, and set amongst the rolling, boggy drumlins and frequent small lakes, is the small rural village of Corrawaleen. During the first part of the 19th Century a small school house was located in the village and is marked on the First Edition Ordnance Survey map for the area. 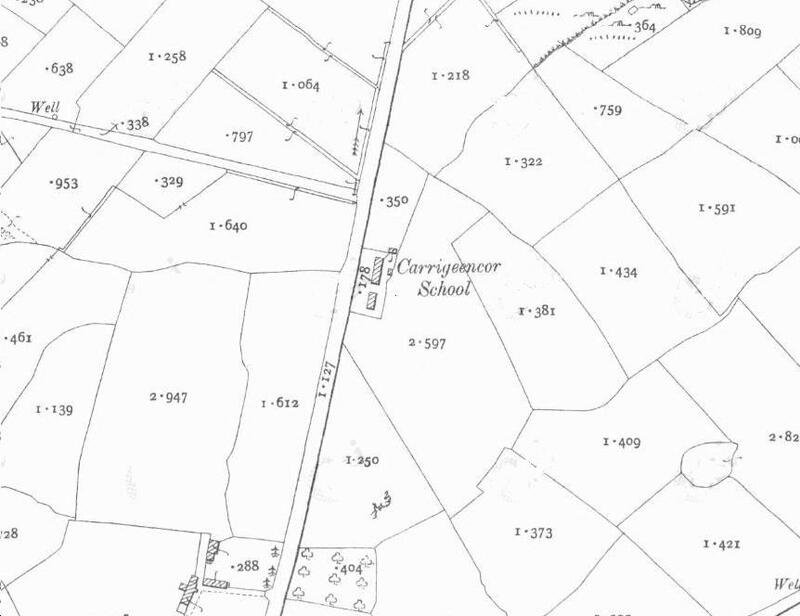 However, in 1890 a new school house was built in the nearby townland of Gortachoosh just outside the village. 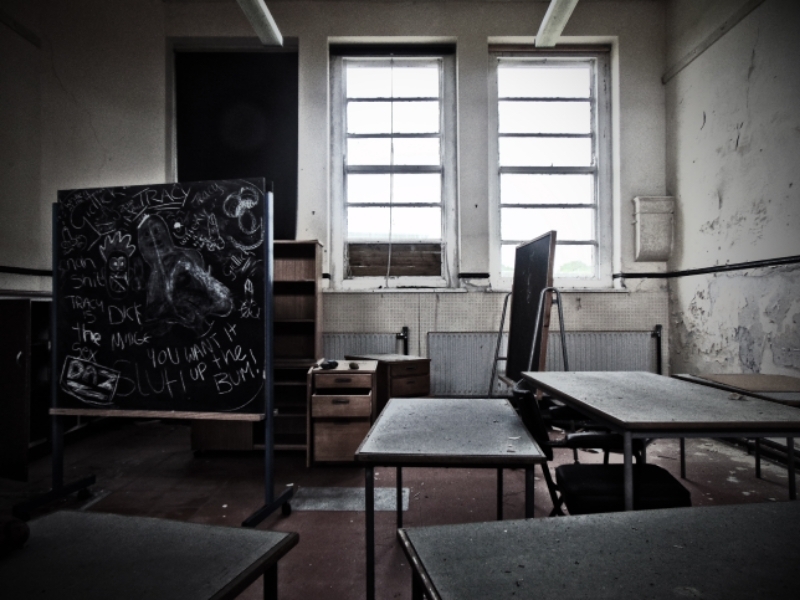 This school house still stands today. 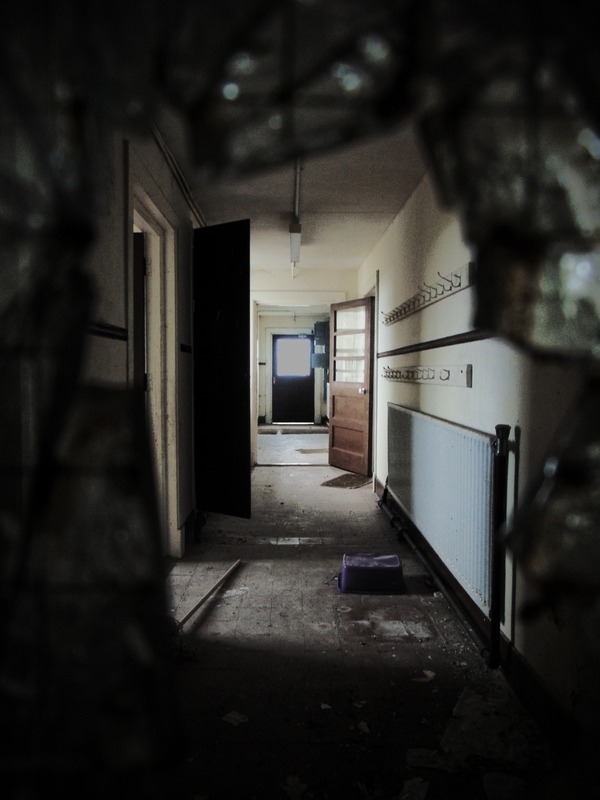 Though derelict and beginning to collapse, inside, it is in good condition, and the echoes of past schooling can almost be heard amongst the scattered school furniture. 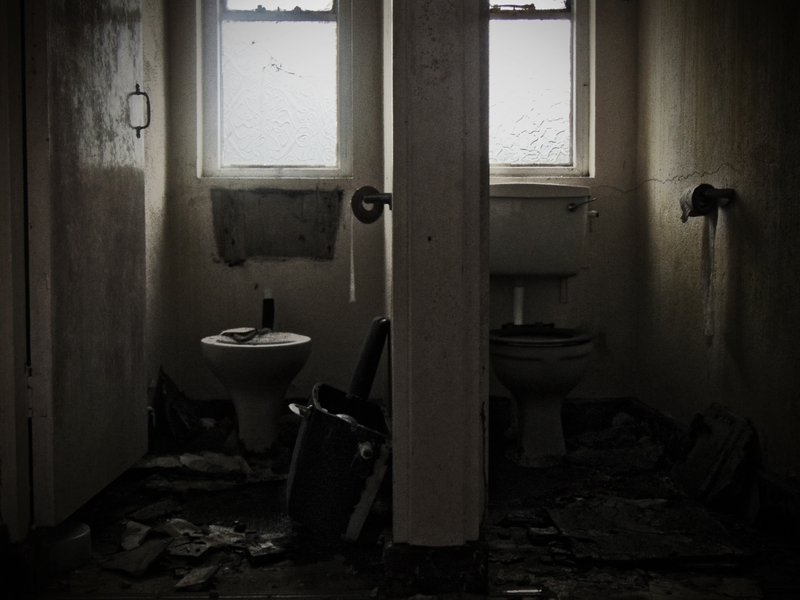 It bright daylight, the school rooms seem vibrant still. 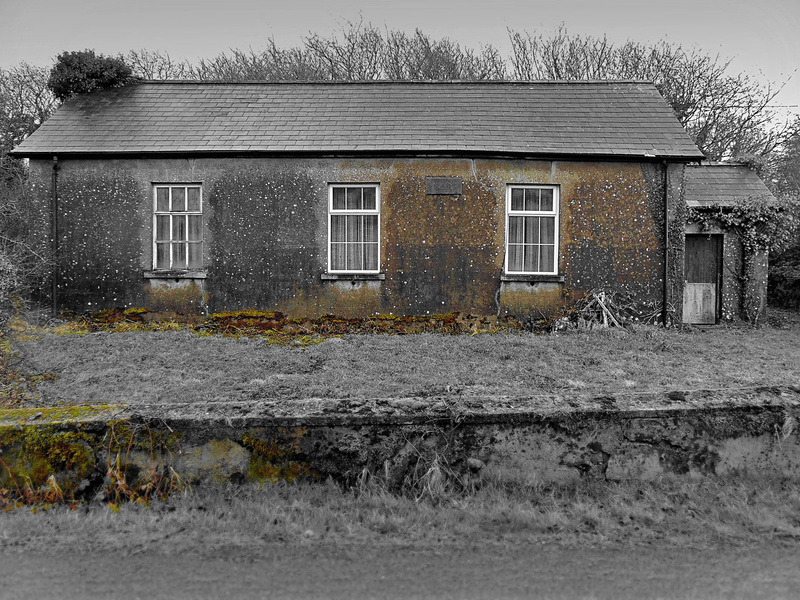 I passed this disused National School just outside the seaside town of Bundoran in Co. Donegal early one Monday morning. 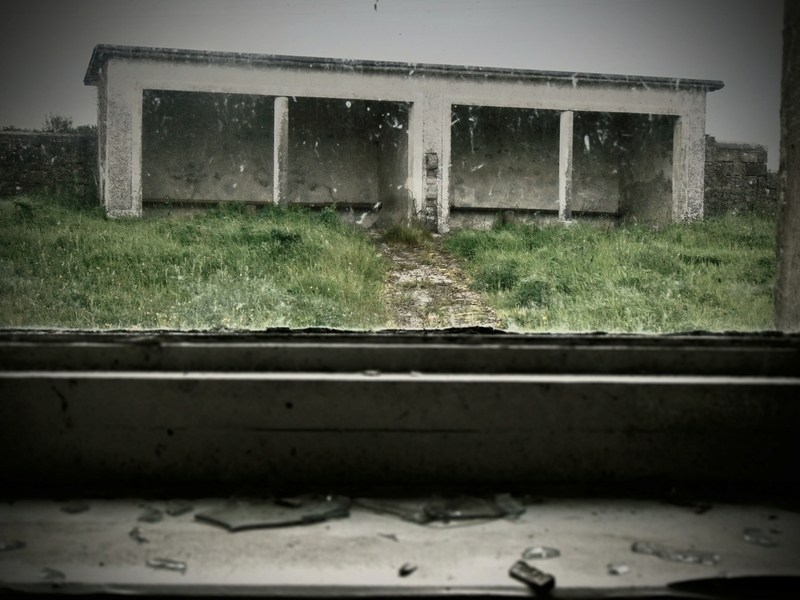 It is situated just off the N15 on the Sligo side of the town. It had no name plate or date that I could see, though it appears to be a recently abandoned mid-20th century school house.